We are a non profit organisation, that was granted NGO status by the Royal Cambodian Government on 18/03/14. Check out our YouTube video below ……. Here in rural Phom O, about an hour’s drive from Siem Reap in northwestern Cambodia, is a life changing opportunity to teach English and improve the lives of a community of beautiful people who struggle on a daily basis. It is important to note that you do not need to be able to speak Khmer (the local language) in order to teach English, you only need to be able to speak English! If you are interested in teaching English in Cambodia, why not take advantage of this unique opportunity? Not only does CCD provide accommodation (basic, clean and comfortable) but you will also learn about growing food in a rural village, traditional farming methods and cooking local food as well as having the opportunity to eat what is being grown locally. You will learn about the people, the country and the struggle that these amazing, inspiring and resilient people endure with a smile every day. You will have the opportunity to learn and grow as well as to teach and give something back. This is a rare chance to really make a difference in the lives of people who need it the most. CCD is currently asking for expressions of interest for anyone who can spend at least one week (preferably two) teaching English in our village. All food and accommodation is included in your experience which will also help to keep the school running. Click here to apply – we’d love to have you! Please refer to CAMBODIAN PUBLIC HOLIDAYS, this may affect your plans. Sokhun became a monk when he was 13 years old. He spent his time studying in the temple until he finished Buddhist High school and then graduated with a Bachelor Degree in International Relations at Panasatra University in Siem Reap. Tho Sokhun is a monk with a dream to bring education to the village of Phum O. For many years Sokhun had been thinking of starting a school. Discussion with the community and a promise to his mother the school was built and is running today. Unfortunately his mother was not able to see the completion of the school as she passed away in May 2014. Sinet a former monk who first joined Sokhun in discussion about bringing education to Phum O. Sinet is now working as a tour guide and is available for private tours. Tola is a young monk who has been happy to join Sokhun in establishing the school in Phum O. He became a monk in 2007 and continued to study in the monastery until finishing Buddhist High School. 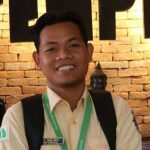 He is now studying IT at Build Bright University (BBU) in Siem Reap Province. His dream is to share education to the children in rural areas. I first met Sokhun in July 2015. He explained to me the vision of the Cambodian Children’s Destiny (CCD) and he took me to the village to demonstrate the practical impacts of their dream. Immediately, I was profoundly affected and inspired by his ideas and goals and decided to assist in any manner possible. I have been a carpenter for most of my life covering domestic homes and alterations as well as commercial projects including the Fire Training Centre at Mogo and Industrial Replacement buildings. Last year I completed smaller building works at the village with the assistance of Tho So. I have met with the CCD board on a number of occasions and and I felt very privileged when they asked me to be their building advisor. Prior to my current position as manager of an active Tax Agency in Bay, Australia I completed 36 years service in the Australian Public Service. Combined with my accounting based education qualifications, I have developed a strong belief in the conducting of business in accordance with accounting standards and principles. With my knowledge and practical experience, I hope to enhance the implementation of CCD’s policies and procedures through advising on the adoption of simple financial management techniques tailored to the specific requirements of the Phum O school and village.